Organization: Representative Helm serves Washington County residents as a member of the House Joint Committee on Rural Communities. Rep. Helm graduated from high school in Bend, Oregon and went on to attend Willamette University where he earned a BA in History and Political Science. He also earned his J.D. at Willamette University College of Law. During law school he started his land use career by clerking for the Land Use Board of Appeals. His early land use career included serving development clients as well as local governments. 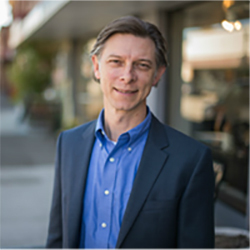 In 1997, he took a position as land use staff for Metro, the regional government in the Portland area that manages the urban growth boundary. He was responsible for defending Metro’s first urban reserve decision in the late 1990’s. In the early 2000’s Metro expanded the urban growth boundary and he was again tapped to write findings supporting that decision. About eight years ago, Helm opened a solo law practice to help local communities advocate for sustainable development practices.